Ryes that come from Jim Beam, such as Knob Creek Rye or Jim Beam Rye, tend to be more about rye notes and less about oaky sweet notes. Booker’s Rye, though, is an unmistakable exception to the rule. It’s an oak bomb and in perfect theme for a rare collectable and delicious whisky. While Booker’s Rye received its biggest promotional prize by winning Jim Murray’s Whisky of the Year for 2017, and it was generally loved by many. It often sold for over a hundred dollars more than the recommend price of $199 US. Being a limited release, it’s been sold out for over a year. I do, though, occasionally hear people finding this rye in the back corners of small whisky shops. 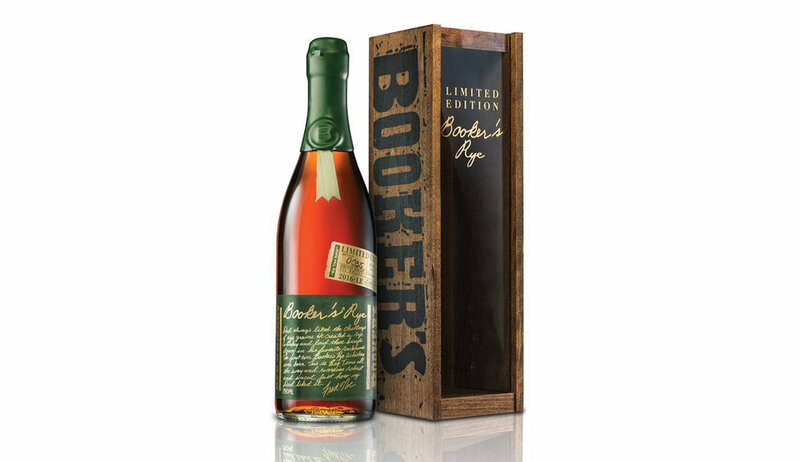 So why haven’t we seen more Booker’s Rye? I have some theories. But most importantly, I hope we see a return to this brand. It’s Booker’s through and through, with intense flavours and plenty of oak notes (this is an oak bomb), but with that added layer of spice that can only come from rye. This whisky is definitely reminiscent of Buffalo Trace Antique Selection releases. It’s not the same drink, not at all, but it is in that same theme of whisky. It fits perfectly into the category of rare collectable whisky. Shout-out to newbourbondrinker for the sample! Nose: Those deep, dark red leather polish notes. Tobacco. Cherrywood. Oily. Buttery. Dusty. Palate: The char notes, not as evident on the notes, are present on the palate. The sharpness of the rye hits hard, barely contained by the sweetness of the oak. The oily and buttery texture is beautiful. What seems like a dry finish isn’t all that dry, as a second wave of sweetness hits the palate coating it along with the bite of the rye. This is an intense ride. The rye, sweetness and dark deep notes work wonderfully together. Is this a daily sipper? Nope! Too intense. Would I love a bottle of this to have out for special occasions? Absolutely! Is it worth the $300 or more? Well, that’s entirely subjective. If you’re buying a lot of BTAC, this will fit right in. Note: It’s nearly impossible to find in primary markets.